Filipinos always try to do something in order to have fun. In Brgy. Cannery, Polomolok, South Cotabato, one of the events for their annual celebration called Pinyahan Festival this year is a boxing contest with a twist - bamboo boxing! 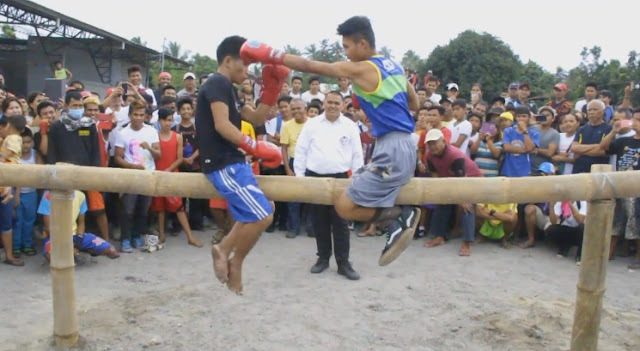 The event was a hit as hundreds of spectators gathered at the barangay plaza had fun watching two boxers exchange punches while keeping their balance on a bamboo. Watch the funny video below.